Watch Out for Crappy Chinese Cables! At the beginning of the ARRL 10M Contest a couple of weeks ago I noticed several “squalling” noises across the band. I had heard these before but hadn’t investigated. I thought it was probably from the Ethernet cabling in my house I decided to see if I could do something about it. First I disconnected the coax from my rig, the noise disappeared. I reconnected the coax and turned off my router and wireless internet radio. The noise was still there. Next I disconnected the coax from the remote sensor for my SWR meter. The noise was still there. Hmmm, that’s strange. I disconnected the coax from the antenna from the back of my amp. The noise was still there. Next I disconnected the jumper from my rig from the back of the amp. The noise was still there. At this point the only thing connected to my rig was a 6′ coax jumper. I disconnected it and the noise disappeared! 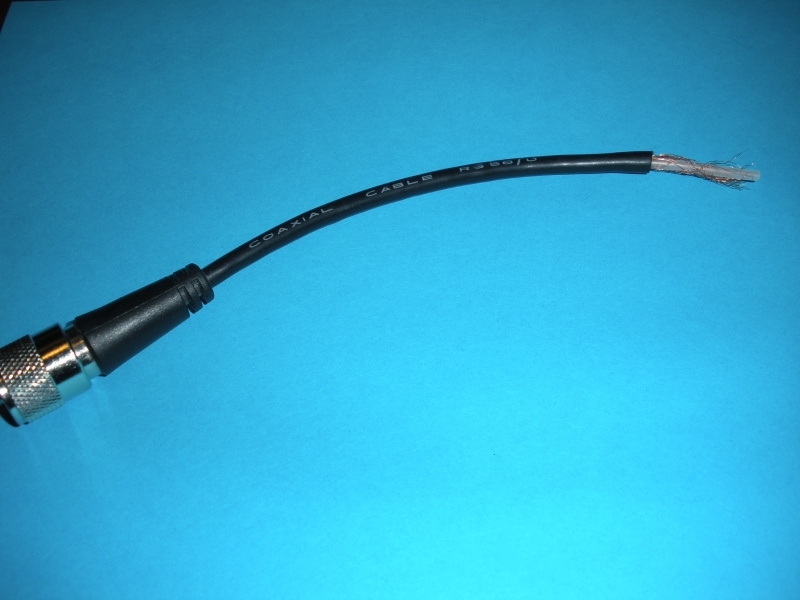 That coax jumper was factory assembled with molded strain relief at the PL-259’s. I replaced that cable with a homemade cable and the noise stayed gone. 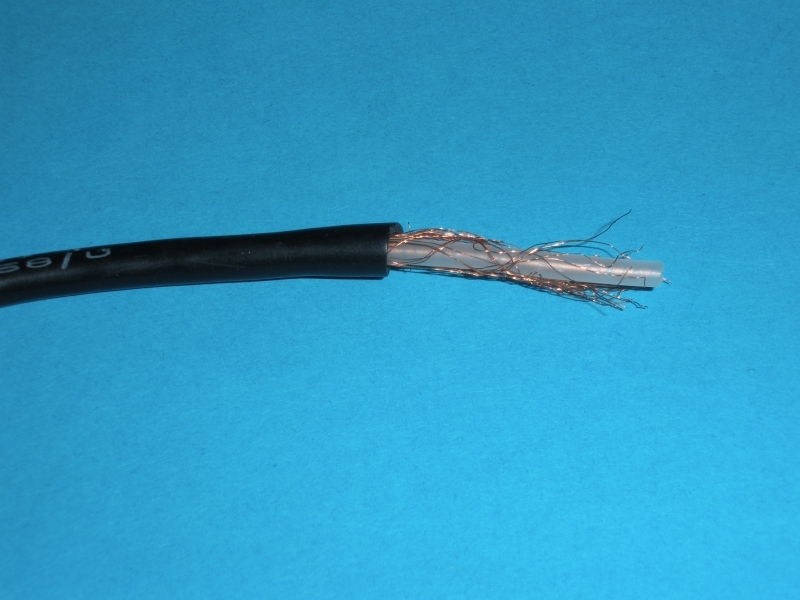 I cut open the factory cable and found the coax had maybe 10% coverage, if you could call it coverage. It was junk. If I’m not mistaken I bought that cable from one of the large dealers at Hamcom. Below are a couple of pictures. It looks pretty until you cut it open. A few months ago I was getting ready for the Texas QSO Party. I was testing a USB>Serial adapter that uses a separate USB cable. When I connected the adapter there was a noticeable noise increase in my Elecraft K3. Again, I tracked that noise down to the USB cable, which was a piece of junk from China. After replacing the USB cable with a Belken cable I didn’t hear any noise from the adapter. Moral of the story, beware of crappy cables from China! This entry was posted in Amateur Radio by N5NA. Bookmark the permalink.